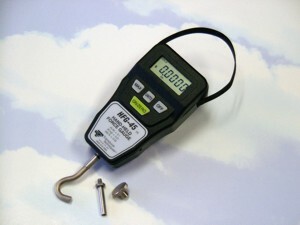 Jan 05 2004 The HFG-45 is a pocket sized hand held high quality digital force gauge. Overall, this force gauge is the most useful force measuring instrument your company can have, for either hand held applications via strap, or hard mounted via four threaded holes on the back. Choose engineering units of lb, oz, kg, N, or kN for loads up to 45 pounds with full scale accuracy of .5% in either tension or compression. The HFG-45 can be used for continuous or peak capture measurements. Standard accessories include a test hook, extension rod, and compression plate shown below. Four replaceable AA batteries are supplied, and an optional AC power supply is available.